Carol Sooba will know her fate today as High Court judge Justice Brassington Reynolds is set to make a ruling this morning on whether she remains in the position of Acting Town Clerk. 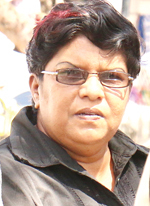 Sooba was placed to act in the position by former Minister of Local Government Ganga Persaud and has enjoyed the support of the People’s Progressive Party (PPP) government, but has not been a favourite at City Hall. The Mayor and City Councillors have long called for the removal of Sooba who they claim is defiant, disrespectful and ineffectual. City dwellers, specifically market operators and other vendors, have also registered their dislike of Sooba who had two no confidence motions passed against her by the Council. The confirmation of Sooba caused a major stir when applicants for the post claimed to have been sidelined for the least qualified of them to be given the position. 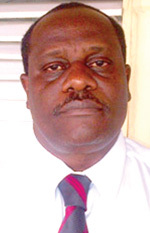 The Council’s current Public Relations Officer (PRO) Royston King was deemed the second most qualified applicant to hold the post of Town Clerk and had filed legal proceedings against the Minister for his bid to place Sooba in the office. However, a ruling from Chief Justice Ian Chang said that Sooba was the de facto Town Clerk and she could have remained in that position until her appointment was challenged by a quo warranto. King went ahead and filed the quo warranto, subsequent to Sooba and himself approaching the Court of Appeal to quash the ruling of the CJ. However, arguments in relation to the quo warranto concluded last week, with a ruling set for today. Attorney Nigel Hughes is representing King, while Roysdale Forde is representing Sooba. City Hall has directly blamed Sooba for most of the recent issues facing the agency. They claim that she refuses to adhere to the decisions of the Mayor and Councillors and acts without their permission.